Mayor Neal C. Roop is a lifelong resident of New Windsor, having grown up on College Avenue where his parents built in 1952. Mayor Roop resides on Church Street where he raised his two sons, Jason and Jeremy and now lives with his wife Sena. Mayor Roop is a Life Member and active member of the New Windsor Fire Company, active member with the New Windsor Lions Club and St. Paul’s United Methodist Church. Mayor Roop has served the Town as a Councilman and Mayor for over 28 years and was inducted into the Maryland Municipal League Elected Officials Hall of Fame in 2013. Mayor Roop is committed to continue efforts in upgrading the town’s infrastructure and bringing commerce back to the town. He encourages all residents to get involved in the town by attending town council meetings and work sessions as well as volunteering in one of the service organizations in town. 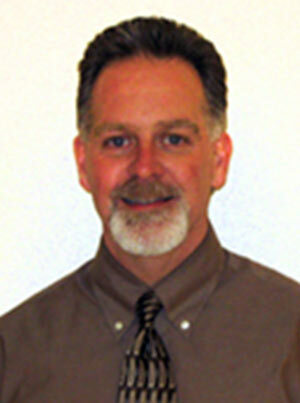 Edwin (Ed) Palsgrove has served on the council since 2001. Originally from California, Ed has lived in New Windsor since 1975. He is married to Brenda Shenk Palsgrove and they have two adult children and several grandchildren. Ed was employed at the Brethren Service Center in New Windsor for 35 years, first as a truck driver and then Director of Buildings and Grounds for 30 years. While Ed is officially retired, he continues part time employment as a truck driver for the Brethren Service Center and motor coach driver for Rill’s Bus Service. Ed has been an active member of the New Windsor Volunteer Fire Company for 30 years and attends the Union Bridge Church of the Brethren. Kim Schultz, a Rhode Island native, moved to Carroll County in November 1989 and to New Windsor in 1994. She has a BS degree in Communications and her career has been primarily in human services organizations doing community outreach, communications, training, and public affairs work since 1989. She is currently the Director of the Office of Public Affairs. 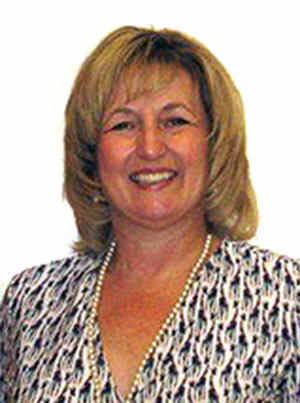 Kim has served on the New Windsor Town Council since 2011 and chairs the Economic Development Committee. She is a member of the New Windsor Heritage Committee, the Historical Society of Carroll County, and Preservation Maryland, and sits on the Boards of the Carroll County Arts Council and Human Services Program of Carroll County. She is married to Mark; they have four adult children and four grandchildren. Edward Smith is the newest member elected to the council. He is married with two adult children and two grandsons under the age of two. Ed has experience in several aspects of law enforcement and also owns his own small business. Ed’s love of animals and public service has afforded him the opportunity to work as an animal control officer for the Humane Society of Carroll County. He is actively involved in the Bret Berman Memorial Scholarship Fund, Rita Closet’s Scholarship Fund, and past president of Wedding Professionals of Maryland. Ed and his family chose the town of New Windsor as their home because of the small town aspects and the serenity of country life. Ed wishes to serve all of his neighbors in a way that will make them proud. He also would like to bridge the gap between the newer residents and those who have been lifelong residents of the beautiful town of New Windsor. He is not only proud to be a resident but he is very proud to serve his community on the Town Council. Dave Hoffman moved to New Windsor in 1994 and has supported the town in several capacities. He served as a member of the New Windsor Planning Commission since 2003 and was the Chairman of the Commission until his appointment as Councilmember. Dave also volunteered for five years as the New Windsor town liaison to the West Carroll Recreation Council. Dave has been employed by the Department of Defense since 1984, where he has worked in various technical and management positions. Dave lives on High Street with his wife Debbie and two children. They are the owners of one of the town’s treasured Victorian homes. Sandee Custen lived in the Washington metropolitan area for more than 40 years before moving to New Windsor in April 2014. She and her husband, Calvin (who were married in the gazebo in beautiful Main Street Park in July 2014) fell in love with New Windsor at first sight, and are very happy to call this friendly little town home. Sandee is an attorney who spent 11 years with the Federal Trade Commission as an antitrust attorney before hanging out her own shingle in 1990. Since then, she has practiced family law in Montgomery County and the District of Columbia, and now in Carroll County. Sandee moved her office to New Windsor in August 2015, above the historic bank on Main Street. Since moving to New Windsor, Sandee has been a member of the New Windsor Heritage Committee, and currently serves as vice president of the group.